Gina Downs with Senior Connection appeared on the Midday with Mike television show to discuss some upcoming free seminars, an exercise class and Social Security! Host Mike Blake: We are here with Gina Downs Vice president with Senior Connection. You’ve got something called a chair exercise class as part of a seminar? Neat idea, when is that coming on? Host Mike Blake: And that is at 10:00am on June 20th. Later that day, Social Security, they say you can write a book on all the changes of Social Security. People obviously whatever their age, they have questions about it, you can help them out can’t you? Senior Connection Gina: We can help get them resources. Social Security is a beast onto itself, and I actually have a great paper weight on my desk right now, it’s a whole book on Social Security tips and I just haven’t had time to filter through it. We are having a Social Security planning expert come in to talk about need to know information in preparation for those questions because when you go to the Social Security office they have very little guidance that they can provide to you. Basically you have to tell them how you want your benefits and there are new rules that came out that prevent you from doing what was called “file and suspend” previously, so there are things that you need to know to maximize your benefits and whether you should file early or wait as long as possible. Everybody’s situation is different so that seminar will be a resource to help guide seniors in that process. Host Mike Blake: You also have quite a few other classes or seminars including with life insurance. There will be a very wide range of classes, who will conduct all these various seminars? Senior Connection Gina: Some of them are conducted by us and others, I bring in experts on those topics to provide resources for us and to provide that for the seniors in the community. Host Mike Blake: What’s been the feedback to these free classes and senior resources on the part of the residents? Senior Connection Gina: Positive, our seminars have been filling up so quickly, we’ve been having to offer other dates to accommodate everybody that’s wanting the information, and that’s exactly what we want, we want to be able to provide as much education and information for our senior community and their families as possible. Host Mike Blake: Tell people again exactly where you are located and also the phone number for Senior Connection. Senior Connection Gina: The phone number is 812-473-7271. The address is 951 South Hebron Suite D. It’s in the Hebron Point complex that’s right across the street from the south side movie theater. So if you know where that’s at were right there in that little strip mall. Host Mike Blake: And of course the website is SeniorConnectionBenefits.com. It has to be gratifying, no matter what you do you provide if they get anything out of these seminars, it’s a tremendous help I would think. Senior Connection Gina: Yes, absolutely. Host Mike Blake: Gina thanks very much for coming in, and for more, don’t forget to go to the website. Again, Gina Downs with Senior Connection, Gina have a great weekend! 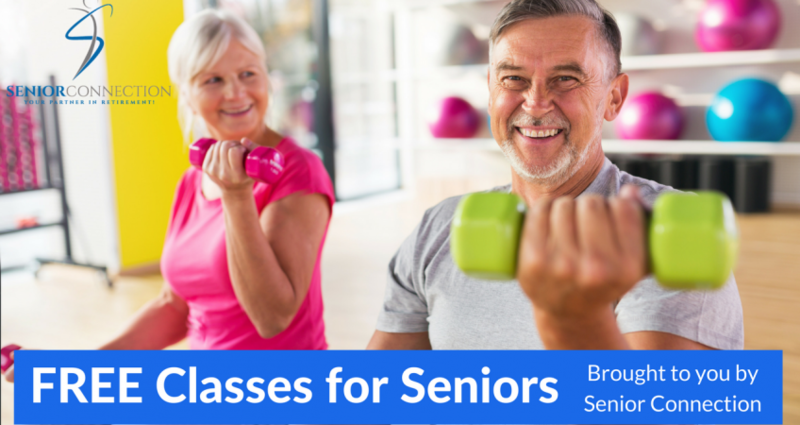 If you are interested in signing up for a free class on Medicare, life insurance, financial planning or one of the chair exercise classes or you just want more information, contact Senior Connection today!